Cinnamon Cooper wasn’t born in Chicago, but she has lived here for almost 20 years and ran the legendary DIY Trunk Show for many years, so she was the perfect person to be our ambassador to the Windy City. Chicago is an epically crafty city, the birthplace of the Renegade Craft Fair and home to dozens of crafty places. This is Cinnamon’s Crafty Guide to Chicago! Remember to get your ticket to Midwest Craft Con — a creative business retreat coming up in Columbus, Ohio, in February! This shop mostly stocks Anastasia’s own clothing designs, but she has a great eye for accessories and apothecary items that are top-notch and mostly indie-made. It used to be hard to find indie-made and well-made maternity items, but these two stores have made that not only possible, but easy. This shop focuses on local and indie-made goods for babies, children, home, and gift items. Not only do they make custom T-shirts and personalized gifts in store, but they also focus on gift items made by local, indie-makers and fair trade groups. This started as one store focused on local and indie-made gift items, but grew so popular that there are now two stores, one focused on apparel and accessories, and the other focused on gift items. Owner Stephanie Keller is one of our OG crafters. While she was creating her own line of paper goods, she was working for a now defunct but wonderfully curated shop. She took that knowledge, merged it with her knowledge of great local makers, and created one of the city’s best indie-goods shops. This shop not only consigns for individual products, but it rents space to individual makers so it is like going into 20+ shops in one location. This women’s clothing boutique specializes in small-run and handcrafted apparel, jewelry, and accessories. Jenny tracks down the best of local makers in every category except apparel and showcases them in her gorgeous shop. Open for more than 15 years, Paper Doll stocks all of the great local paper and gift makers, as well as having their own line of custom stationery that will make you want to send more mail. This combination storefront and art gallery focuses on locally made and handmade wares and art. More dog toys available in the shop by @cruxpups. 🐶 Learn how to make these at @firstascentclimbing next Tuesday from 7-9p! #helloiusedtobe a climbing rope. This place was also started by an OG crafter, Lyn, who started silkscreen products for indie businesses and branched out to create a brick and mortar that sells her awesome goods as well as a variety of handmade gift items, artwork, and some upcycled/recycled wares. This may look like just a wine and and fancy eats shop, but they do a great job of representing local makers with selections of home gifts and food gifts. A store with the motto “Art is Not A Luxury” is a great place to get artwork, accessories, and home and gift items that will make your heart sing. Not only is this a great place to find locally made gift items in the curated storefront, but it is also a great gathering place, event space and artist gallery. Owner, designer, awesome gal Lesley Tempe is also an OG crafter who sells her own line of apparel, but also those of other indie designers and accessories makers. Shayna is also an OG crafter who started at craft shows, branched out to a full-time biz and now also runs a storefront that stocks locally made paper goods. This mother/daughter team represents work from several great local artists, vintage items and art. This combo shop and gallery sells mostly work from local artists and artisans. But also has a podcast, sells books and records, and even audio equipment. There are also many great events and recordings of them. Rebecca started as an online-only store, but became a brick and mortar more than 11 years ago. It focuses exclusively on Chicago-made goods and puns galore. Shirley and Jenny opened the first Chicago shop that focused on small-run lines made by locals only. More than a decade later, they’re still going strong. Not only does Fat Tiger sell some wickedly awesome streetwear, they also offer occasional workshops geared toward creatives of all varieties and freelancers. This membership-based maker space offers a plethora of tools and workshops for makers of all sorts. The Harold Washington Library Center is home to a free, public maker space with 3D printers, laser cutters and software stations. Renegade Craft Fair: Renegade started as a show focused solely on craft that took place in one weekend in Chicago, but has spawned an empire of shows worldwide. Now there are three Chicago shows every year: a summer showcase that happens at The Hideout, the September show that takes place on Division Street in Wicker Park, and the Holiday show at the Bridgeport Art Center. Handmade Market: This monthly market in Wicker Park is the longest running show in Chicago that focuses on sustainable craftiness. With more than 11 years under their belt, it is a reliable place to look for great items with a drink in your hand. Hyde Park Handmade: This monthly showcase in Hyde Park focuses primarily on makers from the south side of Chicago. A great place to get Sunday brunch and some gifts. Revolution Craft Show: With around 50 vendors, this craft show in a large brewing facility in Avondale is a great place to pick up holiday gifts while enjoying a beer and a little food. Show of Hands: This show is only a few years old but has attracted 100+ vendors with its semiannual shows in a gorgeous Ravenswood venue full of antiques and collectibles. The Late Late Craft Show: This North Center show gets a jump on Small Business Saturday by encouraging night-time shopping from 30+ vendors, with a little drinking at Mrs. Murphy and Sons Irish Bistro. Randolph Street Market: This group hosts four different markets in the Near West Side. Whether you are looking for antique furniture, indie-made gifts, indie-design apparel and accessories or free-trade imports, this monthly show runs year round (outdoor during April through October). What this place lacks in name creativity, they more than makeup for in packed-to-the-gills awesomeness. You’ll be greeted by a charming clerk (the owner or her staff) who will manage to help at least 10 people put together an entire outfit from all the nooks and crannies of the shop while making you feel like the only customer in the store. This market rents spaces it individuals so you are guaranteed to find someone with your aesthetic in this 20,000-square-foot space. Probably the best place to shop for vintage jewelry and accessories at any price range. This vintage modern home shop doesn’t focus on an era, but does focus on great style and occasional new items. This is not the place you go for fun vintage cast-offs. This is the place you go to find the perfect dress for that period wedding ensemble, or that so-old-it-is-new-again couture. From flapper to disco, you’ll leave decked out. These gorgeous stores focus on furniture, home accessories, and gift items from the 1950’s through the 1970’s. There are some locally-made items that are current and also fit their aesthetic. If you’re looking for vintage fashion, not just clothing, this is the shop for you. There are also some home goods, but come here looking for a party dress and you won’t be disappointed. This monthly event happens on the third Sunday of the month from April through October and occasional holiday markets. There are 75-100 vendors in this monthly garage show, hence the no winter hours. Cinnamon Cooper is an aging (but awesome) lady who lives in Chicago and loves to encourage everyone to follow at least one dream and makes reliably attractive bags for her business, Poise.cc. 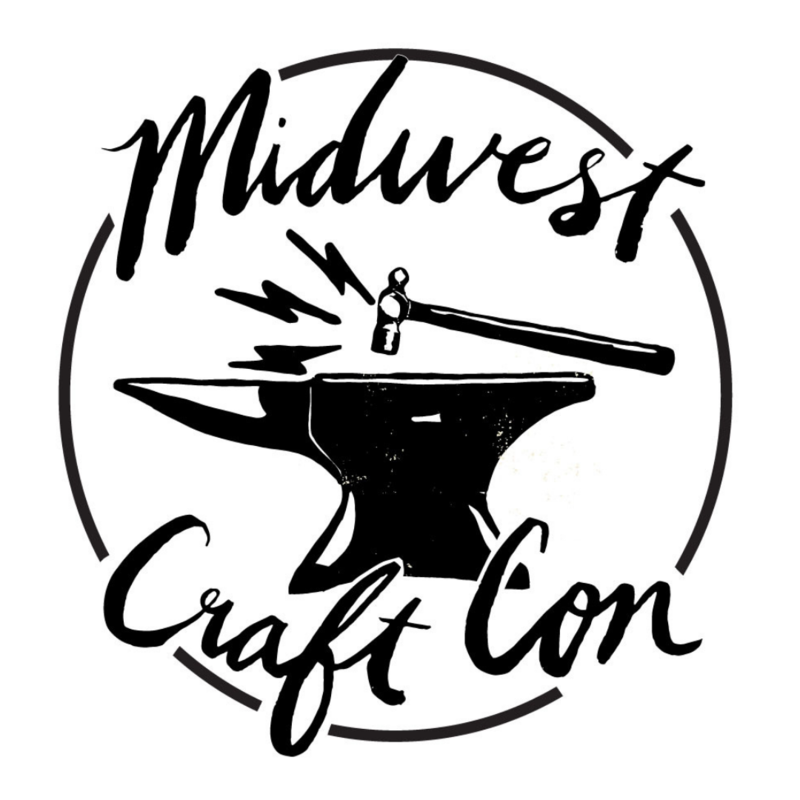 Previous Look who’s speaking at Midwest Craft Con 2017!